Halo 5 is the fifth game in the Master Chief saga and 7th or 8th (depending on whether you count ODST or not) title under the Halo series. Halo 5 features a new protagonist, Agent Locke, who debuted in Nightfall and the Master Chief Collection, and promises an intriguing plot and a squad-based twist to the tried and tested Halo formula. The multiplayer returns to its roots and also has an arena shooter e-sports mode, which can only improve after Halo 4’s ill advised foray into Call of Duty domain. Games Workshop has been prolific with the Warhammer 40,000 license since THQ died. 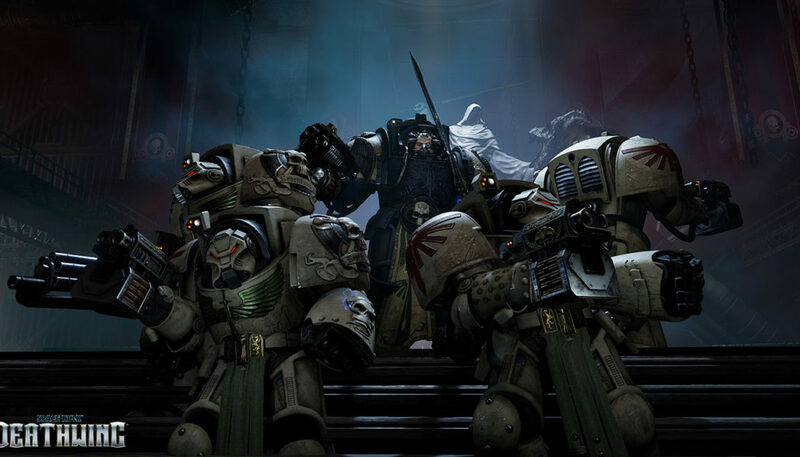 We will get another space hulk game next year, this one an FPS made in Unreal 4. For the uninitiated, Space Hulk is like Aliens Vs Colonial Marines, if colonial marines were 10 feet-tall superhuman soldiers clad in armour made up of the equivalent metal on half a bus, and wielding weapons like power claws, chainswords, heavy bolters, promethium flame throwers; and the aliens were, well, aliens (technically, they’re tyranid genestealers, the vanguard of an invading hivefleet). Yes I’m a Warhammer 40,000 nerd. Stop looking at me like that. Also, the trailer has a ballin’ rap/mariachi music performed by a Swedish band which makes us dance involuntarily. EA and DICE are rebooting the much loved Battlefront series, and now it looks like Battlefield with a Star Wars coat of paint. This can either mean a good thing or a bad thing according to one’s personal preferences, but what people can be sure of is that it will be one of the biggest shooters this year. And there is one thing that all Star Wars fans are delighted about, and that is being able to play as Luke Flippin’ Skywalker or Darth Frickin’ Vader. Superhot is one of those games. You know the ones; those that are radically different, carrying a core idea that is beautifully implemented. In it, time only moves when you do. So simple, and yet so different. And so ridiculously fun to play. You marvel at the beauty of exploding crystalline heads and the clean, spotless design as you rip through enemies in slo-mo. Tell me that does not sound badass. I’ve personally had my eyes on this one since the Kickstarter campaign. Try out the prototype for yourself at http://superhotgame.com/. A Counter-Strike-esque game with added mechanics like deployable drones, barricades, game changing gadgets and destroyable walls and floors with fast-paced team-based gameplay, the return of Rainbow Six will particularly gel with old time fans of the SWAT Shooter franchise as well as CS fans who are looking for a fresh new take on tried, tested and much beloved mechanics. It also stars Angela Bassett as the Boss, so thats good? Maybe?. So there you have it folks, the upcoming shooters of the season that everyone is excited about.